I thought today I would share with you my recipe for blueberry muffins! A couple of months ago, I decided I wanted to do some baking. I hadn’t planned on baking anything so I worked with what I had in the house — some frozen blueberries in the freezer and a few other ingredients around the kitchen. So I figured I would try making some simple blueberry muffins! Recently, I’ve been really trying to not use processed sugars in some of my new recipes because I don’t think it’s always necessary …and it’s not really healthy. I would like to find a good alternative to processed flour, but, right now, I’ve pretty much eliminated processed sugar. With that being said, there’s no added sugar in this recipe; but there’s definitely still enough sweetness from some of the ingredients! These muffins were really easy to make and I thought they turned out pretty good, so I hope you enjoy! 1. Peel and mash bananas in a mixing bowl. 2. Stir in apple sauce. 3. Add baking powder, salt, and flour; mix well. 6. Stir and then add mixture to a muffin tray. Bake approximately 20 to 25 minutes, turning tray half way through. Makes about 8 small muffins. 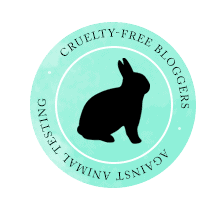 Next Post Is It Really Cruelty-Free If It’s Not Vegan?